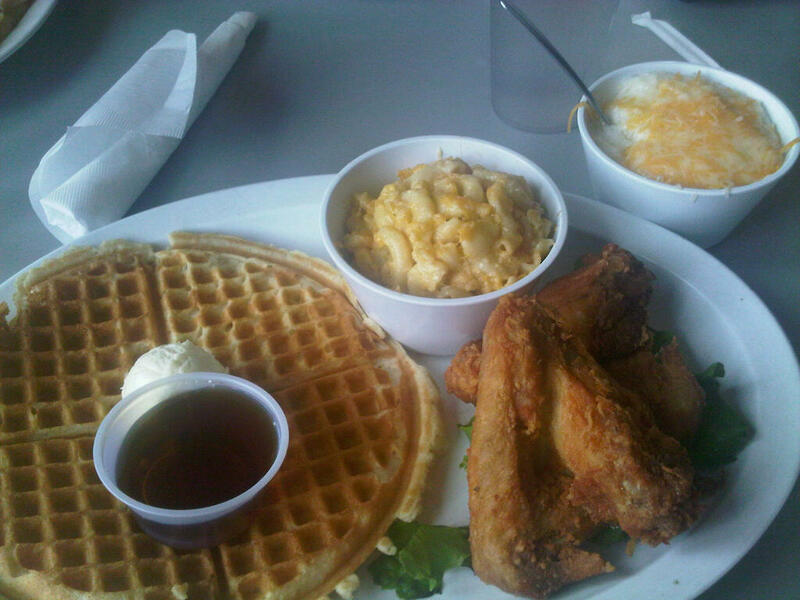 That's right - chicken and waffles...with a side of mac n cheese and cheese grits for good measure. This hangover feast was acquired at the House of Chicken and Waffles in Oakland at Jack London Square. And it was perfection. 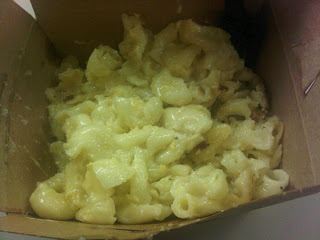 Next up....more mac n cheese (did I mention I was hormonal this week as well? )...this time from a place in SF called Focaccia. Love this place. Everything is fresh and real quality food. And this mac and cheese...to die for. 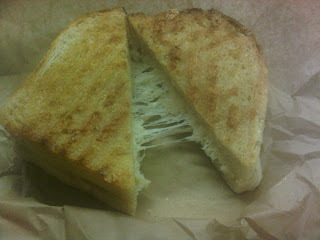 Next up...one of my favorites...a grilled cheese sandwich. I've loved this sandwich for as long as I can remember. My favorite version is the one I make, of course: white bread or brioche, butter, 2 or 3 different cheeses...and maybe a touch of garlic every once in a while. But this one below that I ate the other day was pretty darn good. And yes, I did walk 6 blocks to the Ferry Building to get this one instead of getting a random grilled cheese across the street from my office. Why this grilled cheese? Well it's made with cheese and butter from Cowgirl Creamery (the sandwich was actually purchased at the Cowgirl Creamery stand) and bread from Acme Baking Company next door. Quality ingredients. Period. Now there is a picture missing here. I went back to the Ferry Building yesterday because there was a Farmer's Market. And when there's a Farmer's Market, there's some fabulous eats for lunch. And boy did I have a fabulous eat. 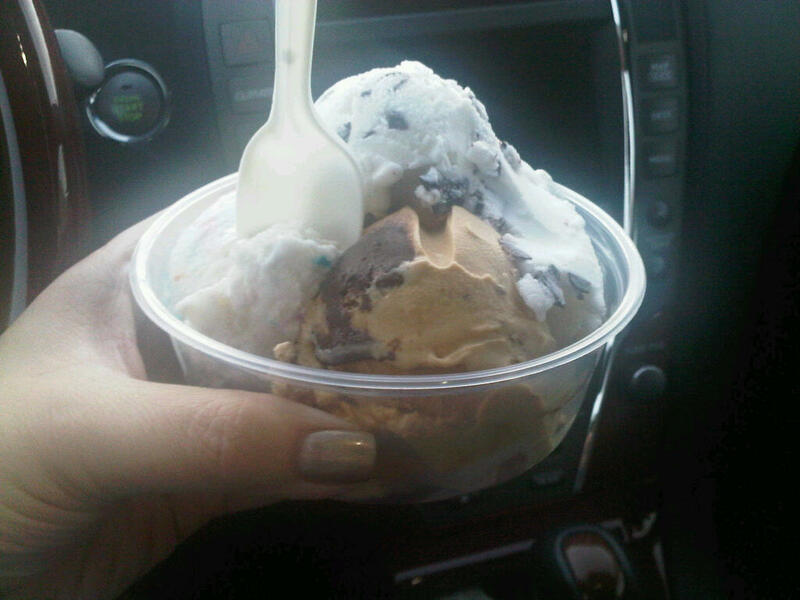 There's not a picture because...well, I really couldn't wait to inhale it and so, I didn't. But here's what it was: a pork confit sandwich with fresh herbs, market salad, kimchee with chili chorizo aioli from 4505 Meats. One of the longest lines at the market and for good reason. But today...today I finally found dim sum in San Francisco that I like. 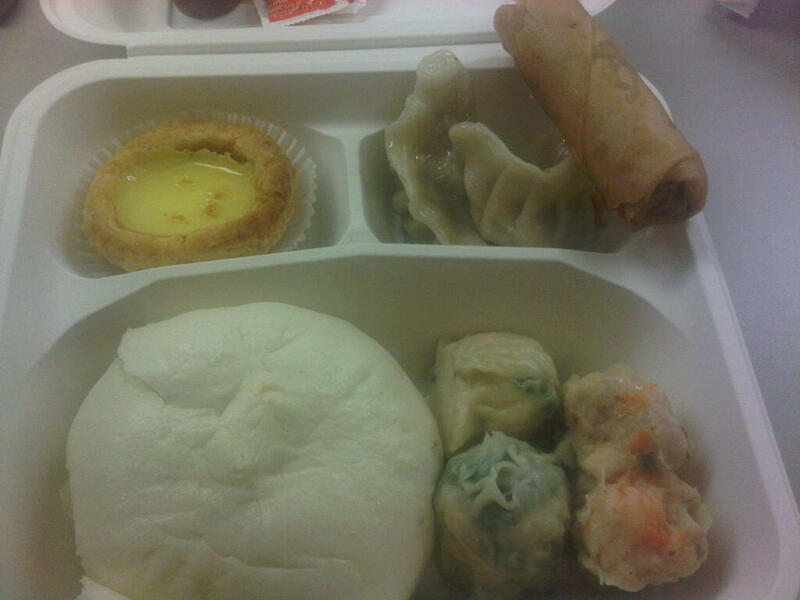 And usually for really good dim sum, I go outside of San Francisco for it. However, I thought I would give this place a try...they have a To Go corner of the restaurant for lunch take-out and the restaurant is Michelin rated, so why not? DreamWishDesire by Michelle is licensed under a Creative Commons Attribution-NonCommercial-NoDerivs 3.0 Unported License. © 2008 - 2016 DreamWishDesire. Template Header by Divalicious Designs. Platform by Blogger. Hosted by Tiger Technologies. Theme images by Divalicious Designs. Powered by Blogger.